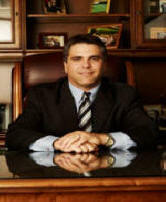 Nilo J. Sanchez, Jr., Esq. If both mother and father are taking advantage of their time-sharing and the courts find no reason to deviate from an equal time-sharing schedule, the courts will determine this as a percentage based on the number of "overnight" stays with each parent. The amount of child support is calculated by entering each parent's income, the number of overnight stays (percentage) into the Florida Child Support Guidelines Worksheet to come to an amount of child support to be set. Also included will be the paying parents responsibility for their portion of health insurance, uncovered medical and dental expenses and also child care expenses which is based on a percentage amount as well. Time-sharing matters continue to be a reason for contention between parents. With many unmarried couples having children , the process of obtaining child support and having the courts order time-sharing can be a process, especially in high conflict situations. First, a father, or a mother can initiate the courts to establish paternity, then the courts will order time-sharing and child support based upon information provided to the courts. Unfortunately, with child support being affected by the number of overnight stays, many parents' have situations that are less than amicable. Some parents who are paying child support, including those who are divorcing and those who are unmarried, are not being awarded equal or fair amounts of time-sharing, thus, increasing their child support payments. 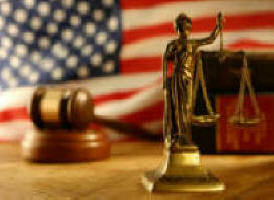 A knowledgeable family law attorney in Tampa can assist you in situations like this. Alternatively, some parents have been awarded equal time-sharing yet they are not exercising their rights, thus reducing the child's overnight stays. When this happens, the person who generally receives support is being "under-compensated." This would be a "change in circumstances" that could warrant hiring a child support and time-sharing attorney to approach the courts with a motion to amend and modify child support and time-sharing. Attorney Sanchez represents clients who are in need of a family law lawyer in Hillsborough County, Florida, Pasco County, Florida and Pinellas County, Florida and has decades of experience litigating family law cases. In Florida, although many clients are looking for a child custody lawyer, Florida has for the most part has strayed away from using the term "child custody" and other antiquated terms such as primary or secondary residential parent. For a few years now, courts use terms such as primary or secondary residential parent. Rather, the time spent with the children as "time-sharing." If you think that your parental rights have been infringed upon, and would like a seasoned Tampa Bay "child custody" or time-sharing attorney to fight for your rights for equal time-sharing, please contact our Tampa Family Law Firm. Attorney Sanchez is a family law attorney serving Tampa Bay, Florida and truly believes that nothing is more important than your family. Don't suffer silently if you're not getting the child support you deserve or you feel that you have been treated unfairly in court with regards to time-sharing. It is important to understand that time-sharing is not just for the benefit of the parents emotional or financial well-being. Children in high conflict time-sharing situations most often times struggle in silence. We do recognize however, that there are times when equal time-sharing is NOT in the best interest of a child and when this is the case, we will advocate for the child's best interest and well being which includes asking the courts for financial and other relief that you are entitled to according to Florida law.